The world’s greatest overseas real estate binge might finally be over. According to the People’s Bank of China (PBoC), China saw its foreign exchange reserves rise to over US$3 trillion. The unexpected rise is the first in 8 months, and may indicate that the new regulatory crackdown on capital outflows is actually working. This is bad for real estate markets that have seen a sudden surge of buying activity from Mainland Chinese buyers. China’s capital outflows turned into inflows, meaning more foreign currency went into the country than left. The PBoC found itself with US$6.9 billion more than the month before, a 0.25% increase. This comes after US$220 billion in outflows in 2016, and another $12 billion in January. While it doesn’t seem like a lot in contrast, analysts polled by Reuters expected a drop of more than US$25 billion. Analysts are now adjusting projections since this means China’s foreign reserves are a full US$31.9 billion higher than they anticipated. This could mean that China’s new capital controls are much more effective than analysts had previously anticipated. The Chinese government is worked very hard to get that last uptick. Data Source: People’s Bank of China. We’ve talked about China’s capital controls quite a few times, but in case you missed it here’s a brief intro. 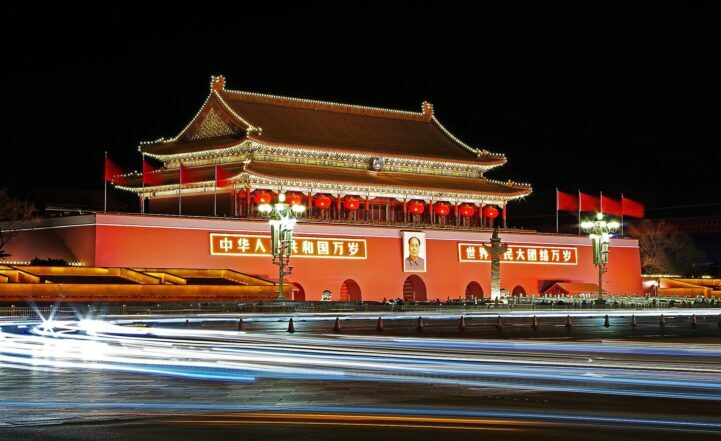 Chinese citizens are limited to exporting US$50,000 per person, per year. Not even enough to make a down payment on a house in Vancouver. So friends, family, strangers for money would lend their quotas to other people, so they could do a form of “soft” money laundering called smurfing. Smurfing is a process where a large amount of money is broken down into smaller numbers to evade regulatory flags. The money is then wired by a number of people, then assembled by an overseas bank as a single account. Before you get the misconception that Chinese homebuyers are criminals, this is a fully legal process in countries like Canada, and the US where banks are even happy to help. This process plays a very important part in buying a home, and even paying the mortgage. This all changed this year, when the PBoC and the State Administration of Foreign Exchange (SAFE) created additional rules to stop the outflow. The US$50,000 limit is still the same, but now banks are required to report transfers over ¥200,000 (US$29,000), and you’re no longer allowed to “lend” your allowance. Oh yeah, and the new rules strictly prohibit export of capital for buying bonds, “insurance-type” products, and real estate. Companies now require government approval to purchase property abroad, and they can’t easily obtain it unless buying property has always been their primary business. Break the rules, you get a three year ban on exporting capital, and are investigated for money laundering. Being subject to a money laundering investigation in China is not fun from what I’ve been told. Mainland Chinese investors are now the world’s largest buyers of overseas real estate. It’s actually sprung up multi-billion dollar businesses like Caimeiju, and Juwai that sell billions in overseas property, often sight unseen. These buyers added fuel to the fire created by over enthusiastic domestic buyers with massive mortgages, sending property rates soaring in Canada, Australia, England, France, Hong Kong…actually, pretty much everywhere. 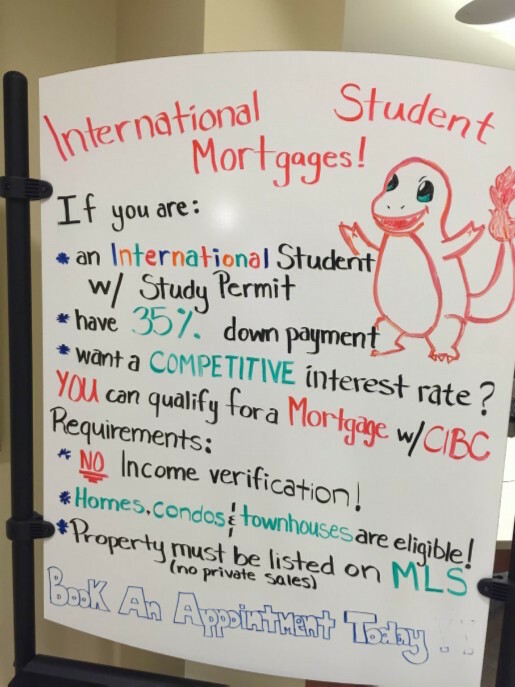 Totally normal sign advertising “no income verification” for international students at a CIBC branch, Canada’s fifth largest bank. Now that the capital controls expressly prohibit real estate purchases, it’s kind of tricky for Chinese buyers to continue to drive the market. Actually, it’s likely pretty hard to even get the money to pay the mortgage on current purchases. Vancouver, Canada – a hotspot for Chinese buyers, saw a sales decline of 78% during this Chinese New Year, one of the most popular times to buy. Bloomberg also reported that Chinese real estate buyers were suddenly short on cash after the change in rules. February’s inflow of foreign exchange might be the first official data point to show that China’s buyers can’t continue to drive international real estate markets. Mainland Chinese buyers aren’t the only driver of soaring real estate prices in global capitals. However, many markets saw locals taking out record amounts of debt to compete with well funded foreign investors. It’ll be interesting to see if the narrative continues to be told that Chinese buyers are driving markets, or if locals will realize they’re now providing liquidity for those same well-funded investors that need to get out.